course of a day or a week because [cumulative] audiences are rarely reported by Nielsen. But it’s a good guess that concentration is pretty heavy. I just finished a two week visit by a family member of sorts who is about as standard issue Fox conservative as they come. He’s 68, retired (since 49) and his daily regimen consisted of waking up and turning on Fox News / CNBC all day — with friggin 2 and 5 year olds running around. (News is not for children and Fox News in particular). At the end of the day, when I get home, he’s armed with the talking points and diverts every conversation back to venting and victimization. Watching my mother go into a spin cycle with every new “revelation”, it occurred to me that it is not even necessary for Fox to spin anything — their job is “rinse and repeat”. The FNC watchers let their fevered imagination fill in the gaps, going way beyond FNC’s feeble reporting when they describe the issue to their friends and relatives. Because FNC is always on, it is not necessary to actually watch and listen — one can pass in front of a TV, catch a glimpse and a few words of the topic du jour and just make up the rest. Like I said, this is just anecdotal. 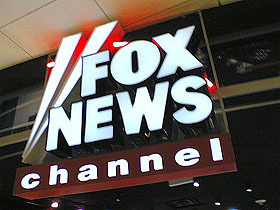 But I suspect that Fox watchers (and perhaps other daytime cable news watchers) tend to be people who basically turn it on and listen all day as sort of background noise. If that’s true, it means that Fox’s daytime audience is (a) really, really small, and (b) almost purely made up of fever swampers. Plus, of course, a few hundred DC political junkies who don’t realize how limited its reach is. I’d welcome any actual data that either confirms or contradicts this.